Pop Evil’s self-titled fifth album is centered around empowerment determination in a world of chaos and corruption. 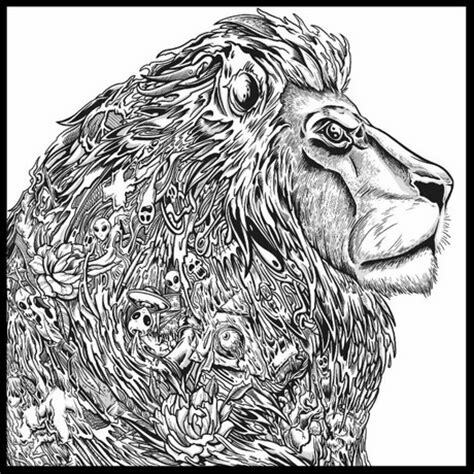 “Waking Lions” with an industrial beat before breaking out with pounding down tuned guitars. Frontman Leigh Kakaty proclaims in the chorus that he will stand tall and awaken the lions within himself to convincing effect. “Colors Bleed” is an abstract but scathing commentary on everything that has transpired in the U.S. over the past few years. The twisting, dysmorphic riffing gives wave to a tranquil midsection with a bluesy guitar lead and a spacey bass line. This will certainly become a staple on the band’s set list. “The Art Of War” sounds like a watered down Rage Against The Machine track with its rapping vocals and staccato riffing. It is not a bad song, but one of the weaker tracks on the record. “Nothing But Thieves” is the longest track on Pop Evil, and is notable for its haunting intro of piano and bells. This tracks borders on industrial rock with pop sensibilities, which makes it an interesting listen. “A Crime To Remember” is the most radio friendly track on this record. It features the schmaltzy rapping accompanied by somber piano and hip-hop beat that is all the rage these days. Rock bands need one potential hit song per album and Pop Evil are no exception. Pop Evil stretches its musical wings on this record. There is a healthy mix of heavy songs and ballads thus avoiding any monotony. One can hear the band’s influences on these tracks which is the album’s main weakness. When you hear a track like “Art Of War” it is clearly inspired by Rage Against The Machine. However, Pop Evil are no Rage and it sounds like a cheap copy. Pop Evil’s best songs are those that are not blatant derivatives of other bands. The more mired the influence, the better the songs. “Birds Of Prey” is a good example of this as it is a mesh of hard rock, pop and electronica. Five albums in and a decade since the release of its first record, Pop Evil are not slowing down. Pop Evil is a diverse rock album that should satisfy old fans and win over some new ones. The rock scene is fairly bland in America and Pop Evil are certainly poised to be one of the biggest rock bands in the U.S. This album, while not groundbreaking, shows a confident band ready to seize the crown. For news and tour dates, check out Pop Evil’s website.